Synonymous with excellence, luxury and high-performance, the LEADER line features a distinguished design and a sporty attitude. 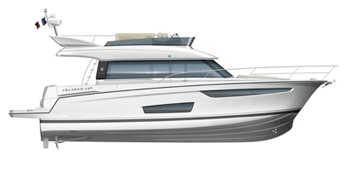 These inboard Express models with high-performance hulls marry comfortable exteriors with innovative interior layouts. Their contemporary style invites relaxation. Compared with other boats of equal dimensions, our boats are bigger.